“Now then we are ambassadors for Christ…” 2 Corinthians 5:20. We are to represent Christ to the world. 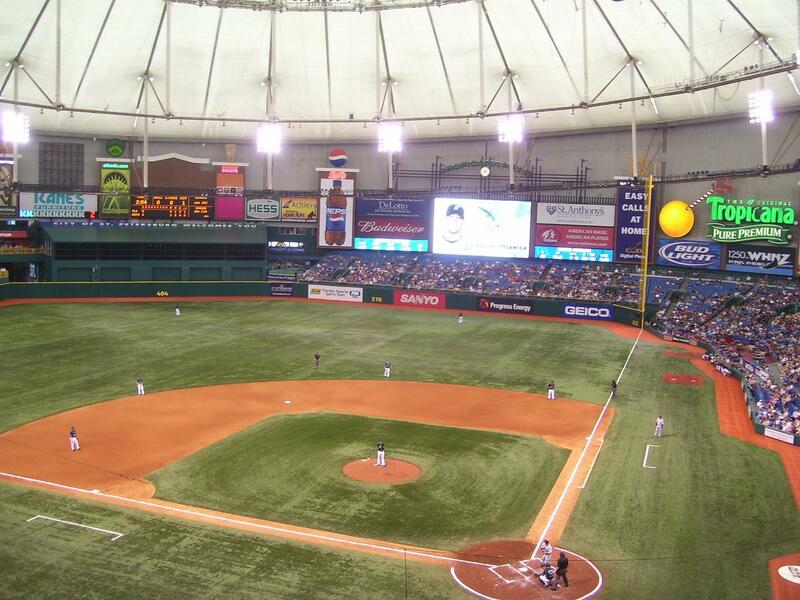 Last year I went with a friend to The Tampa Bay Ray’s stadium, Tropicana Field, where we watched the first place Rays defeat the second place Red Sox 2-1. While at the game I noticed several Red Sox fans. You could easily spot them with their Red Sox shirts, caps, and jackets. I even sat by one. He assured me that the long fly that Ortiz hit to deep right center for an out would have been a homerun at FenwayPark, where the Red Sox play their home games. As Christians, let’s let the world know earth is not our home. While being as polite and pleasant to be around as possible, let’s still let it be known, our home is in heaven, not here. We do not blend in with the world because we are not a part of this world. Let’s not be afraid to look different and act different. Let’s be as proud of where we belong as the Red Sox fans were proud of where they belong. What should we not fall in love with? Note: No one in this world will love and care for us the way God does. God does not want us to let the gods of this earth to come before Him. Not because He is on an ego trip or being selfish but He is jealous for our welfare. He knows He is the only one who cares for us the way He does. No Hollywood celebrity, rock star, or athlete is willing to give their life for us the way Jesus did. Let’s give our live to the One who gave His life for us. Can we make our own rules? What happens when we make our own rules or follow our own inclinations or opinions? What should we set before the people? Note: The NLT and KJV tell us to raise a flag or a standard, and also to remove stone or boulders, which could cause others to stumble. This effects the way we dress, as the way we dress could cause others to stumble spiritually. What are we and what are we to do? What did God tell the people to take off? Note: When God’s people experience revival they remove their jewelry and “flashy” or “fine” clothes. They dress modestly. How does god portray apostate Israel? I will punish her for all those times when she burned incense to her images of Baal, when she put on her earrings and jewels and went out to look for her lovers but forgot all about me,” says the Lord. How is the corrupt church described? How should God’s people adorn themselves? What should be the only ornament of a Christian?